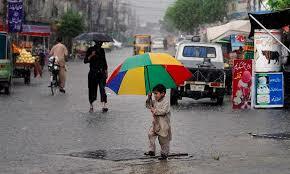 Every year, the metropolitans of Pakistan especially Karachi have to bear the fury of a monsoon season. In the developed world, this event would be just another wet day but in this part of the world, the wet day mutates into a ferocious beast courtesy the pathetic performance of the civic agencies. Falling billboards and loose electric wires killing people, low-lying areas submerged in rain mixed sewage water, and the most common sight of all – cars floating around in knee-deep water with their hapless drivers trying to push them to the side. However, in the midst of all this commotion, you would see the youth of the nation having the time of their lives, playing some watered down version of cricket and football and amazingly, helping stranded drivers by pushing their cars out of the way. While the adults sulk and curse at the weather, for the jovial souls it is festival time. Even those little street children with the baneful wipers are extra cheery, dipping their wipers in the water on the road and then forcefully cleaning your windshield with that dirty thing while it’s already raining! Incredibly, no ad agency or brand, great or small, has had the courage to make use of this glaring slice-of-life to the benefit of their brand, especially when the slice-of-life mania is at its zenith, with the industry having nothing better to offer than a ‘slice-of-life’ spot. And yet they continue to ignore one of the biggest slices. So what options are there if you want to go for realism in monsoon branding? For instance in the case of Mountain Dew, you would depict a couple of daredevils water-skiing in the midst of stranded cars being pushed sideways by their hapless drivers. If you’re branding a car, you would depict a lonely car smoothly sailing through a flooded road with cars stuck on both sides. If it’s a car battery, you would show a car puttering to a stop in the middle of the flooded road. Then when the driver tries the ignition in the vain hope of starting the car again, the battery sends a jolt through the entire engine, drying any water accumulated in the spark plugs and the car whirrs to life. It could be a biscuit, candy, beverage or any of the innumerable edible brands’ ad where the subject after consuming the brand suddenly starts to enjoy his predicament of stuck in rain and tries to make the most of it. There are a million combinations and permutations that you can create using the same backdrop of bleak rainy condition. One way to add vitality to the whole proceeding is to include a generous undertone of humor. Due to deteriorating conditions of the civic services, Pakistanis have self-instilled a fear of the rain as a disastrous event rather than a blessing. If some brand comes along and tries to remodel this behavior along the lines of Surf Excel’s ‘Daag to Achey Hotay Hain’ campaign, it would reap rich dividends. After all, ‘Barish to Lush Hoti Hai’. So bring in the branded rain, sponsored by……….